We also closed on 11 Cascade Lane with an appraisal of $525,000. That will bring a solid comp to the homes close to them. What a smooth transaction that was! The Corbins were super proactive and did everything we suggested to sell their home at top value. YES!!! I also had some great listing appointments! So more “coming soon” previews on their way to those of you that have your buyer survey filled out. Let me know what you are looking for because we have new listings hitting the market all the time! One might be the perfect home for you! 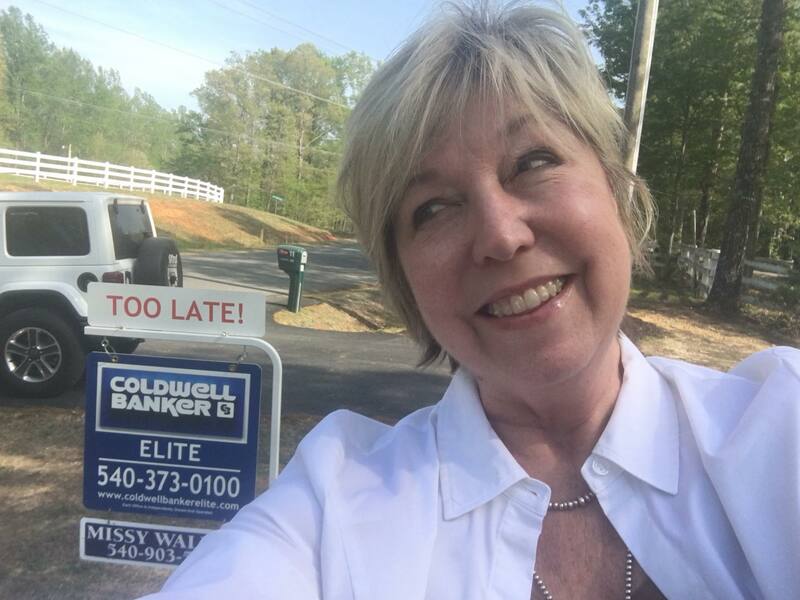 I will also put a request for your needs out to our database of sellers and you never know who might perk up ready to sell your dream home. If you need a buyer's survey, let me know! Friday I met an absolutely kind, professional plumber/gas fireplace repairman. We had 3 estimates. #1. $5,000 estimate to replace the whole system. #2. $1,200 estimate to replace the valve and clean, #3. No written invoice. Always get a couple of estimates from tradesmen before you hire someone. You also should ask for an invoice for all repairs and price before the work begins and you pay any money towards the job. If you need any tradesmen information and references let me know. WHY? What a waste of time and effort! I do believe this is not always the buyer. The buyer agent should be able to educate their clients. If the home is well priced and the comps are there to justify the list price, do NOT put in a low-ball offer. 1. The agent should be local and familiar with the community you want to buy a home so she can relay info to you! 3. Updates or repairs- Septic, well, new roof, HVAC, appliances, additional finished square feet, siding, windows, gutters? All this adds value to the appraisal and has most likely been factored into the list price. 4. Commissions – remember the BEST deal a buyer gets in the state of Virginia is that the SELLER pays the BUYER’S agent! How COOL is that? It is even better if you hire an agent that knows what they are doing! 5. You will most likely as a buyer have repair requests that the seller will have to arrange and pay for on your behalf also. 6. Closing Costs? Do not low-ball and then ask the seller to pay 3% of the contract price in closing cost on your behalf! In this market unless the house is on a cliff and has been on the market for over 6 months you should consider a REASONABLE offer and then ask for 3% in closing cost. Most often if the home is new on the market and you want the house you need to go in a very close to, if not at list price to get 3% in closing costs from the seller. 7. Home Warranty – Who is paying for that? 8. Well and Septic Inspection – Who is paying for that? These are the basic numbers out of the seller’s pocket without a reduction in list price. Obviously, all these items are negotiable so if you LOVE the home, present a reasonable offer so you get in the game! With all this said, please do not hesitate to call! We would be proud to open any doors or gather information for you! The market value of homes nationally is increasing daily. We are seeing increased appraisal values close to the 2006 resale market prices. Are you looking to market your home within the next couple of months? Are you transferring to a new location or staying in the area? We have a program that will credit you on the sale of your house if you allow us to represent you on the buy side of your next home. I feel this always is a super fair proposition and it keeps $$$ in your pocket to transition to your next purchase. Do not hesitate to text or call me at 540.903.5171 with any questions. We look forward to seeing your home and meeting you!